Every detail was carefully selected in this Beautiful, Laurel Mills Split level home.As you pull up to the property you are greeted by the professionally landscaped yard and Ep Henry brick paver patio. Enter through the foyer and that leads you to the main living room that offers hard wood flooring, crown molding, wainscoting new 5 panel picture window, Transom window above the front door with side lights for the added natural light. The gourmet kitchen is perfect for the cook in the home. Kitchen has granite counters, single double sink, Grohe faucet, garbage disposal, Over the range pot filler faucet, Custom Cabinets, Stainless steel Appliances, full tile back splash, Breakfast bar, Coffee bar with wet sink, Exhaust hood and pendant lighting. The dining room is open to the Living room and kitchen to keep the open concept of the home. The dining room has chair rail custom wood work around the arched door way and a new sliding glass door that leads out to the two tier deck.Entertain in grand style in the 21 x 20 family room graced by a wood-burning brick fireplace. That has a sconce on each side. The bar area on the lower level also has pendant lights hanging for the perfect atmosphere. Off of the Family room there is a utility closet and half bath. Through the French doors sit and relax with a book in the sun room which has tile flooring Andersen windows custom wood work and window treatments. The Laundry area has a sink and cabinets to keep the area clutter free. The upper level of the home host 3 bed rooms and 2 baths. The main bathroom has a sky light. Double granite vanity, tile flooring and walls, and a new cast-iron bath tub with glass doors. The master bed room has a walk-in closet crown molding master tile bath, Hunter Douglas Plantation Shutters and a sitting area. The second bedroom is 12x10 with crown molding and a double closet. Bedroom number 3 is quaint but still has the upgraded details as well with crown molding and Plantation shutters. The back yard is just as pretty as the front with the Ep Henry patio, Landscaping with fire pit, and two tier decks. 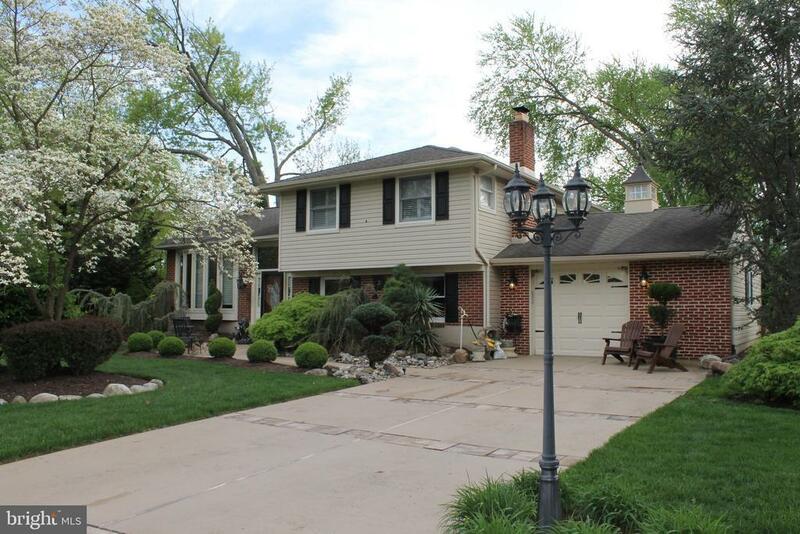 This home also has over-sized garage with office and a lighted Cupola. This is not your typical Stratford home so hurry up and make your appointment today! Directions: Warwick road to longwood right onto Overhill PIQ on Left.